← Excellent Review of my New Clarinet CD, Mysteries! E-Tip #4: Ex. “Say syllable ‘Ex’” – Lower Teeth Give, Top Teeth Receive.” Don’t bite down hard on the mouthpiece with the top teeth – i.e. don’t push down with head. 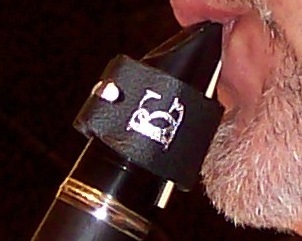 Think in terms of top teeth “receiving” the mouthpiece from the lower teeth as when saying the syllable, “Ex.” As with all of these concepts, it is important to personalize this to a clarinetist’s unique physiology, equipment, etc. This entry was posted in All, ClarinetMike's 101 Clarinet Tips, Performance & Pedagogy and tagged Clarinet, Clarinet embouchure, clarinet pedagogy, Clarinet tips, clarinetmike, michael dean, Practice Tips. Bookmark the permalink.